I scream, you scream, we all scream for ice cream Indulge your senses in this sweet vintage style ring from the expert designers at Apples of Gold. 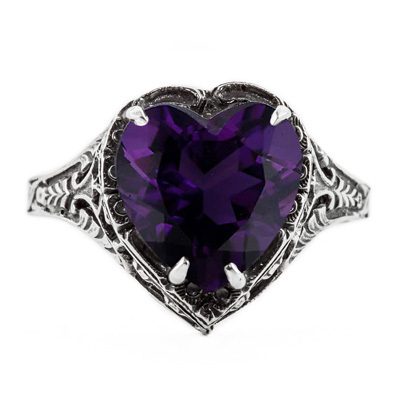 You will look amazing in this heart shaped amethyst gemstone that has been securely set in polished sterling silver. 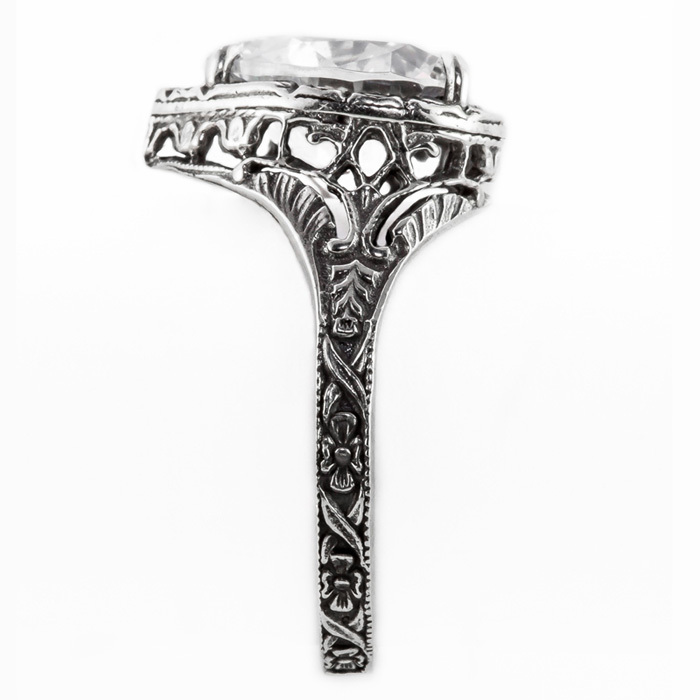 This filigree 14K white gold ring measures 10mm and is ready to ship to your home today. 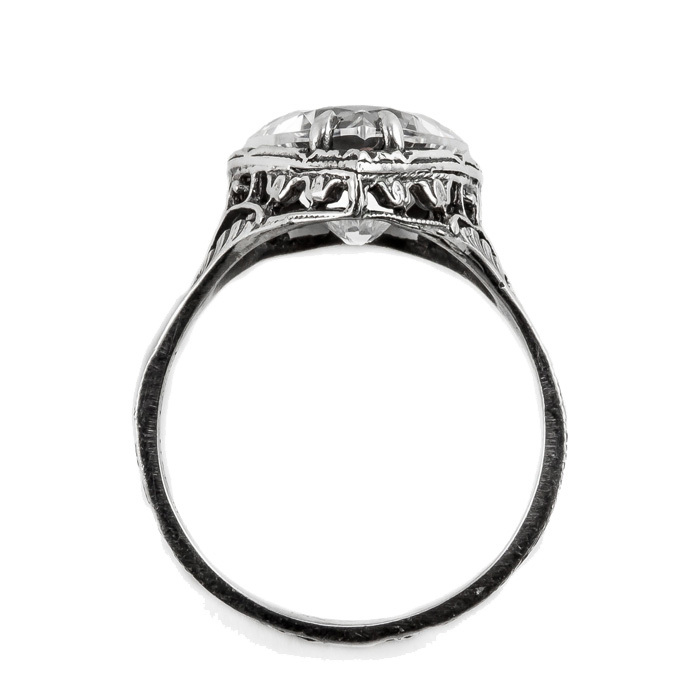 You will have everyone captivated when you wear this vintage inspired heart shaped ring. It is sweet just like you. Makes a unique gift idea for the special women in your life. We guarantee our Vintage Filigree Amethyst Heart Ring in Sterling Silver to be high quality, authentic jewelry, as described above.